Before really getting into this, I think we should thank Vinegar Syndrome for unearthing, restoring, and releasing some long forgotten films. Without them, I do not think we would ever be talking about a screening, much less a Blu-ray release, of a movie like Don't Go in the Woods. It is not the sort of film that a widespread mainstream audience is going to be clamoring for, but it has a certain audience, an audience that may not be aware of just how much they need this movie. I have to be honest, I did not think that I needed this movie until I saw it projected on the big screen. I need this movie in my life. This is not to say this is a good movie, it is not. As a matter of fact, a friend described it to me as being “so bad, it's bad.” This is really not a good movie, but there is something about that I found so entertaining that my enjoyment of said film that the joy trumps the judgment of said poor film making that was on display. 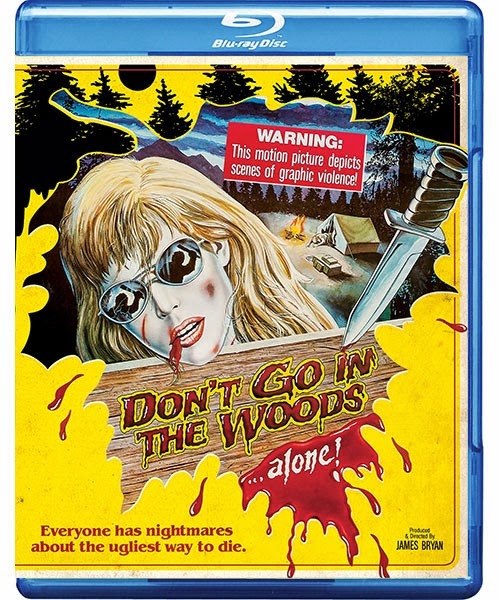 Don't Go in the Woods was directed by James Bryan and written by Garth Eliassen. The former had made a few drive-in films prior to this, then went on to direct Streetfighter rip Lady Streetfighter before finishing his career directing some adult films. As for the later, this is his one and only writing credit, and probably appropriately so. The movie does not have a plot so much as a series of occurrences. There is maybe 10-minutes of story, with the rest being padded out with filler kills and transitional bits. 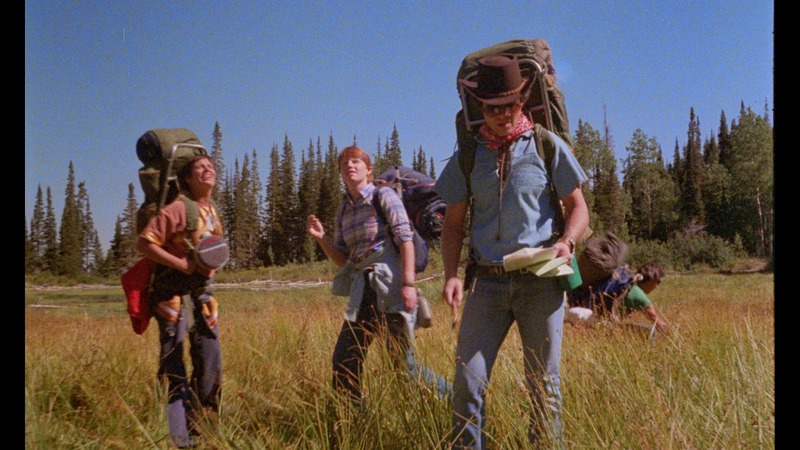 The general thread of the film follows four campers into the woods. They are heading out to spend some time at some secluded cabin. The problem is that there is a maniac out there who does not take kindly to trespassers. 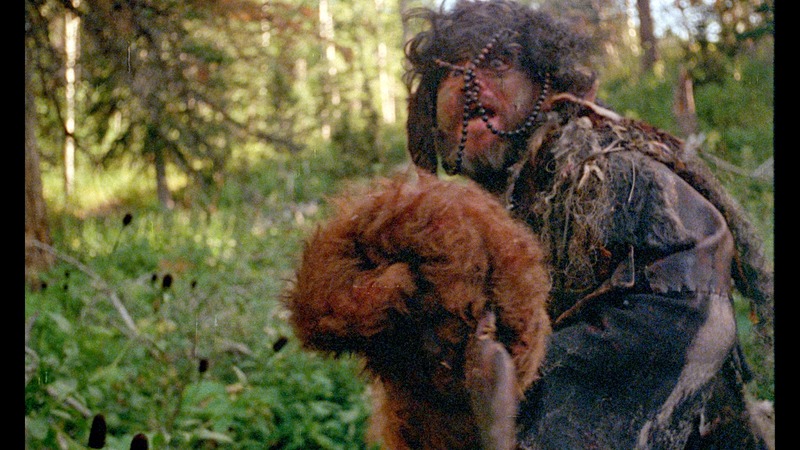 So, while they hike through the woods, the maniac is killing whoever happens to be there. We get comedic bits of them arguing and hiking and camping cut together with scenes of the maniac killing random people in the woods. There is the woman painting, the fisherman, the one black guy trapped in a sleeping bag, and more waiting to be discovered. And, just like these films are wont to do, end up with a showdown between the maniac and the campers. Everything else is just filler fodder. As poor as this movie is, it is insanely entertaining. The dialogue is beyond bad, the acting is awful, the story is barely there, the kills are lame, and the list goes on. I know it is bizarre, but I had a blast watching this thing unfold, one stupid scene after another. At this point, I do not know what else to say. This is clearly one of the worst movies ever made, but it made me smile like an idiot (well, that may not be all that different than any other times I smile).